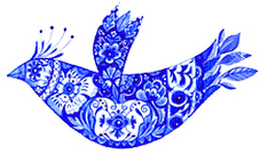 Traditional Blue Delft pottery designs painted on an Anni Arts Blue Bird. Also included in card set above. Geo Pattern Pages for coordinating crafts. Shirt stripes, positive and negative dots, baby gingham on paper for packaging and favors, card making, scrap booking or wrapping. 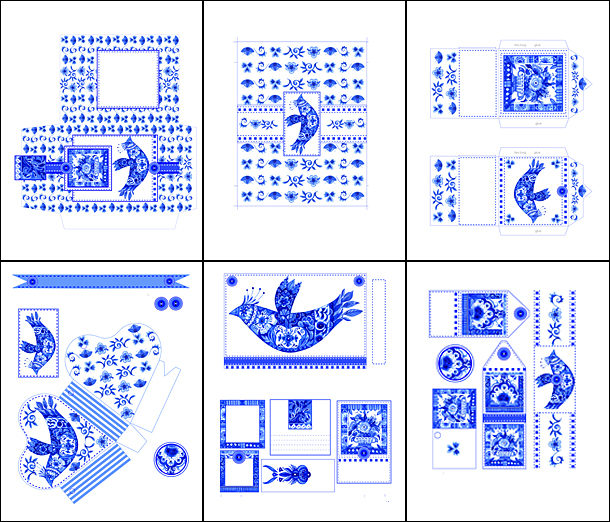 Traditional Blue Delft pottery designs painted on an Anni Arts Bird.​ If you love blue and white porcelain you will love these printable crafts. These designs are ideal for Mother's Day, Easter, Birthday or Friendship cards and for small gifts and favors. For bird lovers too. I love porcelain and pottery designs and often use them in my illustrations. I grew up in a home with beautiful blue and white porcelain and started my own china collection (but with black and white) designs when I was still studying. So I am creating craft ranges with china designs! The range includes cards, postcards, notelets and printables like labels, packets and wrappers. There are gift bands for wrapping around a nice bar of soap or a pillar candle, as well as gift wrap pages for small gifts. The pretty packet, choc wrapper, postcard, labels, tags and tea envelopes are perfect little gifts and gift packaging items. The labels look just fabulous on blue bottles and soap. Then there are the three extra cards, notelets and basket too. The heart basket makes a lovely gift to hang on a door handle as a traditional May posy or Mother's Day gift! The sets are available separately or as saver combo. 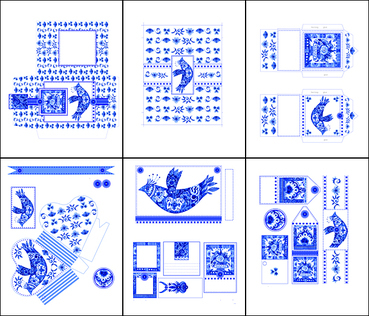 They also coordinate with Delft Rabbit and are included in the bumper combo as a Bird and Rabbit set.